Camilla Chappers: SPOTY nominees & predictions! Once again, please accept my humble apologises for the lack of posts recently - second year of university really is hard work & I've been snowed under with the mountain of assignments I currently have! However, it's getting there and I needed a break sooo, here's a new blog post for you guys! One night every year, BBC Sports Personality of the Year is on - and I love it. If your a massive sports fan like me, this is the programme to watch every year (except I can't this year. WAH.) Everyone is always spectulating and guessing who will be nominated and who will win, and on the 26th of November, the UK found out who had been nominated! Nicola Adams - first British female boxer to win Olympic Gold, at London 2012. Ben Ainslie - sailor who clinched his fourth successive Gold medal at London 2012. Jessica Ennis - The London 2012 poster girl who didn't disappoint; swept to Gold in the Hepthalon. Mo Farah - first British long distance runner to win 5,000 and 10,000m Gold at the Olympics. Katherine Grainger - Fourth time lucky for the rower, who finally won Gold at London 2012. Sir Chris Hoy - Two track cycling golds gave Sir Chris a number British record of SIX golds. Rory McIlory - Won the US PGA Golf Championship by 8 shots, then helped Europe's Ryder Cup team retained the Ryder Cup. Andy Murray - finally broke his duck & won the US Open Tennis - also reached Wimbledon final & won Olympic Gold in London. Ellie Simmonds - Won two Paralympics Gold in the pool, and also won a Silver and Bronze. And she's just 18. Sarah Storey - Won four Paralympic Golds in London, equalling a record of 11 golds. David Weir - Had a clean sweep of four gold Paralympic medals at London 2012, giving him a career total of 10 Paralympic medals so far. Bradley Wiggins - First British man to win the prestigous Tour de France, and then won Olympic Gold at the Cycling road time trial. Can't pick a winner? I know - I can't either! It's fair to say this year has been just purely amazing for British Sport; from the huge success of London 2012, to Andy Murray finally winning a Grand Slam, to our British golfers helping in one of the best comebacks Sport has ever seen to retain the Ryder Cup... Just simply amazing. So many more people could have been nominated for this award too - big names such as Tom Daley and Greg Rutherford all missed out but they will surely receive some credit. If anyone should win Team of the Year then it should be Team GB and Paralympics GB combined - fantastic efforts all round from our British athletes. The shortlist is right this year - I was appalled by the fact people like Amir Khan were included on the short-list yet no women were last year. However, the panel got it right this year. But who will win the big prize? I've always said when Andy Murray would win his Grand Slam, he'll get Sports Personality of the Year - but it just had to be the year of the Olympics and possibly the greatest year of British sport. He'll certainly have a shot of it however - I don't think many can begrudge his achievements this year. And Sir Chris Hoy - one of the heroes of the Olympics for many years, again delievering the goods for himself and for Britain. All of the nominees do deserve to win it; if only they had multiple awards. But I think the main prize will go to Bradley 'Wiggo' Wiggins - to win the Tour de France, one of the most gruelling competitions in Cycling, is outstanding, becoming the first British man to do so and also to then win Olympic gold only a week or so later is a brilliant achievement. And he has the personality - the Mod personality with all the wit and humour - and he made sideburns cool. It'll be close, but I think it has to be Wiggo. Who do you guys think will win the big prize? Let me know, comment below! 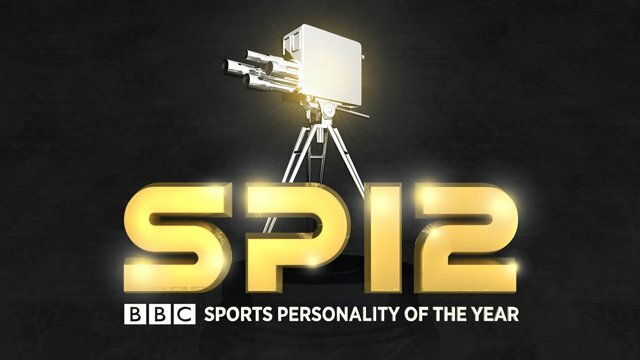 BBC Sports Personality of the Year is on the 16th of December at the ExCeL Arena in London - live coverage will be shown on BBC One. Re-releasing films in 3D - yay or nay? Which films are better - Marvel or DC?